The IntraWeb form, formely IWForm, is our equivalent to the VCL form we are used to work with. 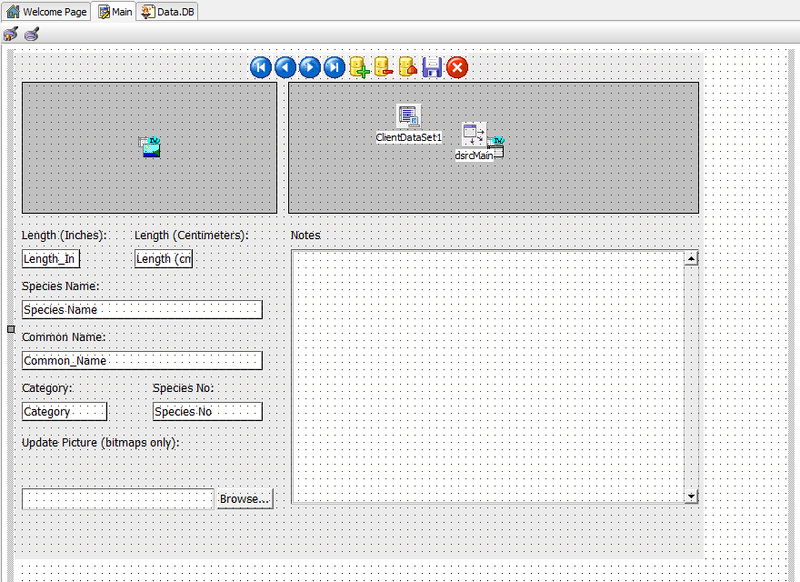 The main difference is that the IWForms only accpect visual controls from the IntraWeb palettes, ie, IntraWeb has its own controls for Buttons, Grids, Page Controls, TreeViews, etc. The IntraWeb Form Designer is quite similar to the VCL Form Designer, except that most IntraWeb visual components only shows a placeholder, instead of rendering the exact represetation of the component, like a TIWDBGrid. Regarding non-visual controls, like Datasets and Database connections, a IWForm can accept most of them. 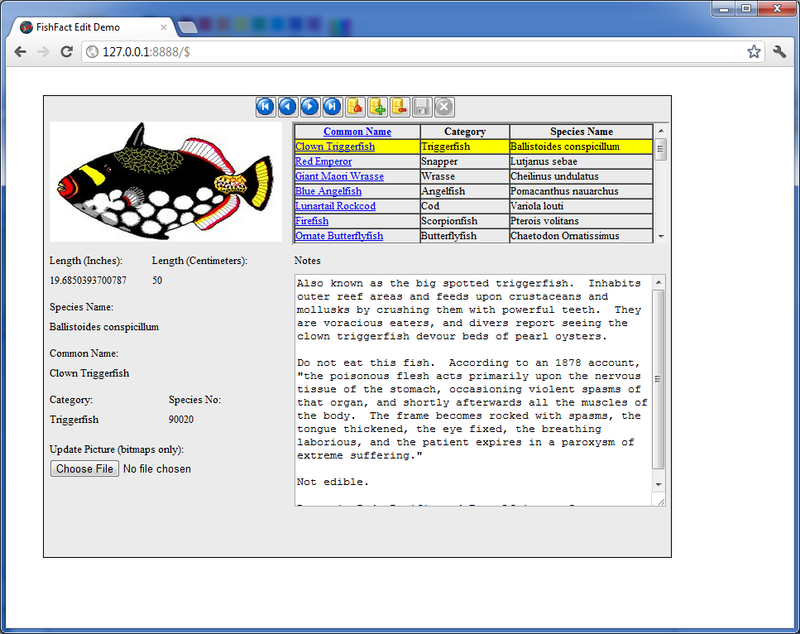 The picture above shows a TClientDataset and a TDataSource component in a IWForm. On the picture below you can see the IWForm above rendered on the Google Chrome browser.